This is a basic Hindi course for someone who has NO knowledge about the language and want to do basic commnication in Hindi. 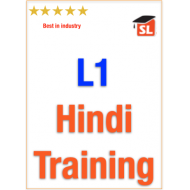 On completion of this course: You will be able to understand basic Hindi script. Understand Verbs in Hindi. Understand basic phrases, pronouns Understand gender..